Many more senior citizens are living out their golden years in their homes than ever before, and they need some level of in-home care to do it safely. The level of home care needed varies widely between individuals as some need a few hours of help per day while others need more consistent care. If you or your loved ones need constant assistance to ensure safe living, Assisting Hands Home Care can help. We provide live-in care services in Hollywood, FL in which our caregivers will live in the home of your loved one to provide assistance, 24 hours a day. With our live-in home care services, one of our certified caregivers will live with your loved ones in their home. Our live-in caregiver will stay in their own space within the home and live there for 3-4 days at a time, alternating time with a second caregiver. While in the home, our caregiver will tend to the needs of your loved ones and help them through their daily routines. You and your loved ones will have peace of mind knowing that our live-in caregiver is always there to respond to emergencies and provide good companionship. Our live-in caregiver will start first thing in the morning by helping your loved ones get out of bed and through their morning routine, including washing up, getting dressed, and preparing breakfast. Throughout the day, our caregiver will be there to help with medication, light housekeeping, and transportation if your loved one needs to run errands or make it to a doctor appointment. 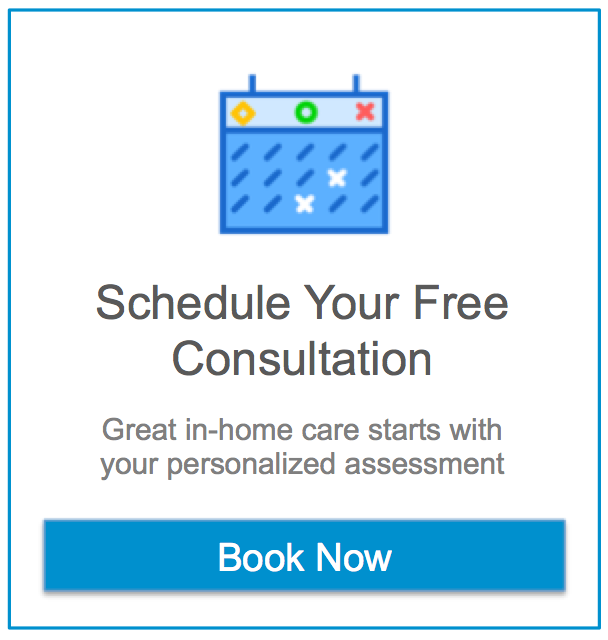 Live-in home care is ideal for seniors who have recently returned home from the hospital or surgery, those who have lost their spouse, and those who want an all-day companion. All you need to do to prepare for a live-in caregiver is make sure they have their own room to sleep at night and allow them at least 5 hours of uninterrupted sleep. Our caregiver will stay and keep their personal things in this space. When it is time to change shifts, the caregiver will clean the room and wash the sheets for the next caregiver. 24-hour home care differs slightly from regular live-in care services. Live-in caregivers are at the home 24 hours a day, but they do get time to themselves at night to sleep. With 24-hour home care, there is a caregiver awake and ready to provide assistance 24 hours per day. You do not need to provide a caregiver with their own room with 24-hour home care because they are awake through their entire 12 hour shift. We will assign two caregivers to provide 24-hour home care who will alternate 12-hour shifts, ensuring that there is always someone there awake to provide care. Having a caregiver at the home of your loved ones 24 hours a day will help ensure that they are always properly cared for, which will give you and your loved ones peace of mind. If you or your relatives in the Hollywood, FL area could benefit from having 24 hour live in care, contact Assisting Hands Home Care. You can reach us at (954) 644-7276 to learn more.